The gunman who killed 12 people and injured eight Monday in a mass shooting at the Washington, D.C., Navy Yard said in a recent incident that he could hear people talking to him through the walls, floor and ceiling of his motel rooms, and believed persecutors were keeping him awake by talking to him and sending vibrations into his body. 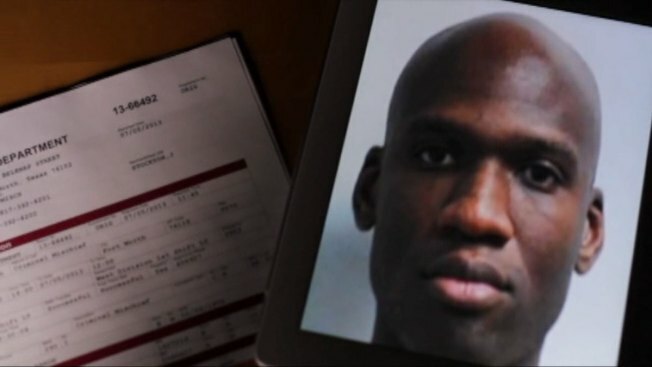 Aaron Alexis, 34, of Fort Worth, Texas, displayed troubling signs of mental illness less than two months ago, according to a Rhode Island police report obtained by NBC New York's Jon Dienst. While working as a contractor in Rhode Island, Alexis called police Aug. 7 to complain of harassment, saying he got into an argument with someone at the airport while traveling from Virginia to Rhode Island. He said the other person sent three more people to follow him, and they were keeping him awake by talking to him and sending vibrations into his body. Alexis told authorities he'd moved hotel rooms twice, but could still hear them talking to him through the walls, floor and ceiling. He couldn't explain to police what they were saying. According to the police report, Alexis said he'd never had an episode of mental illness and had no history of it in his family. Officers thought he showed signs of some mental deficiency and didn't take further action. However, Alexis was treated for psychological issues at a VA hospital while working as a contractor in Rhode Island, multiple sources say. Alexis died Monday inside the heavily secured Building 197 of the Naval Sea Systems Command Headquarters in Southeast D.C. Authorities say he was the sole person responsible for fatally shooting 12 civilians in the building and injuring eight others. A motive remains unknown in Monday's shooting as officials work to piece together Alexis' history. Details of Alexis' life include some violent incidents, though friends described him as sociable and peaceful. Alexis served on active duty in the Navy until 2011 and had moved to D.C only recently. Back in Texas, he volunteered at a Buddhist temple but also played violent video games, said a friend. A brother-in-law said no one had any indication Alexis could do something like this. Michael Ritrovato, a friend of Alexis who spoke with NBC Dallas Forth Worth, said Alexis may also have been upset that a contractor had been slow to pay him for several months' of work he'd performed in Tokyo. "This company that he worked for said they were going to pay him and they didn't pay him," Ritrovato said. "...He called and he was very upset about it. This was several months ago." Ritrovato said he couldn't remember the name of the company. Alexis -- a New York native -- had most recently lived in Fort Worth, Texas, before moving to Washington about four months ago. He was working as a civilian contractor for The Experts, a subcontractor of Hewlett Packard that had been hired to work on computers at the Navy Yard. He had a secret security clearance for his work on base, NBC News reported. It's unknown how long he had planned to stay in the area, but Alexis had not put down permanent roots. He was still driving a rental car and had been staying in a Residence Inn in Southwest D.C. hotel with five other coworkers. After Monday's deadly shooting, authorities searched both his hotel room and the rental car, and were in the process of interviewing his roommates. "We are deeply saddened by today's tragic events at the Washington Navy Yard. Our thoughts and sympathies are with all those who have been affected," read a Monday statement by Hewlett-Packard in part. 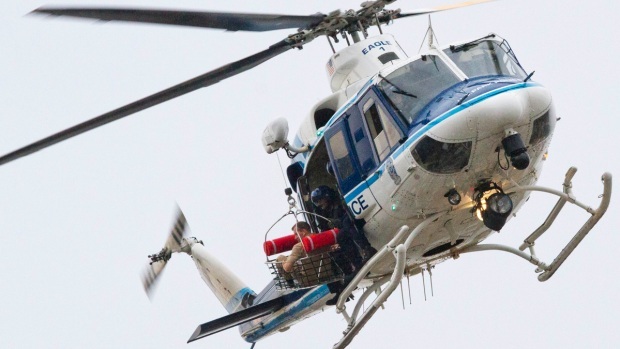 "...HP is cooperating fully with law enforcement as requested." Alexis enlisted in the Navy in New York in May 2007, and graduated from boot camp at Great Lakes, Ill., as an airman recruit. He eventually became an aviation electrician's mate, a Petty Officer Third Class, and served four years of active duty based at the Naval Air Station Joint Reserve Base in Fort Worth. 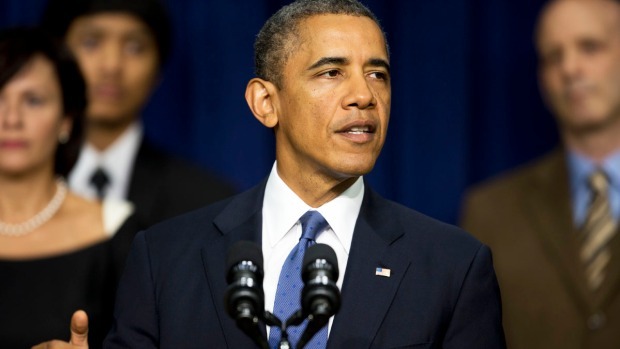 President Barack Obama addresses the multiple shooting at Navy Yard. While enlisted, Alexis received the National Defense Service Medal and the Global War on Terrorism Service Medal. The former is a medal awarded to anyone who served during a national emergency. The latter was created by President George W. Bush for members of the military who served overseas in the War on Terror on or after Sept. 11, 2001. It's unknown where or when Alexis may have served overseas. Police say as many as two gunmen may still be at large near the D.C. Navy Yard Monday after a shooting that began in a heavily secured building and left a number of people dead. 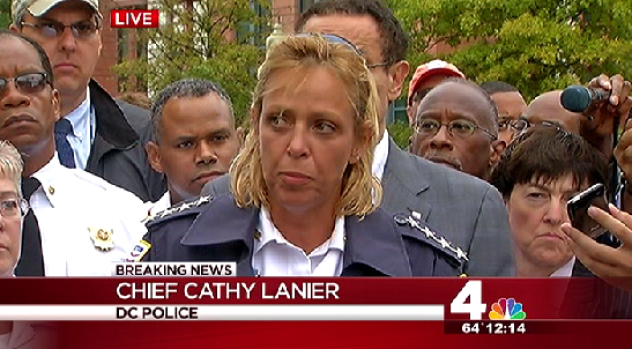 One other gunman has been killed, Metropolitan Police Chief Cathy Lanier said at a midday press conference. He was honorably discharged in January 2011 despite a string of misconduct problems during his nearly three years in the military. Alexis had bouts of insubordination, disorderly conduct and was sometimes absent from work without authorization, mainly when he was serving in Fort Worth, officials told the Associated Press. They were enough to prompt Navy officials to grant him an early discharge through a special program for enlisted personnel. Officials said the bad conduct was enough to make it clear Alexis would not be a good sailor, but not enough to warrant a general or less-than-honorable discharge. Four people were killed and 10 were shot - two of the victims police officers - at the Washington, D.C. Navy Yard Monday morning, and the shooter has not yet been apprehended, authorities confirmed. NBC"s chief Pentagon correspondent Jim Miklaszewski has the latest on the shooting. Aaron Alexis had two previous brushes with the law over incidents involving guns in the past decade. In September 2010, Alexis was arrested for discharging a firearm within Fort Worth city limits, a Class A misdemeanor. He wasn't charged, but officials said the incident contributed to his discharge from the Navy, although the incident wasn't severe enough for a dishonorable discharge. Alexis told officers he was cleaning the weapon when it slipped and accidentally fired. Two bullets lodged in the floor and ceiling of his upstairs neighbor's apartment, and she called police. According to a police report, the neighbor told authorities that Alexis had called the police several times on her for being too loud; "however the police always said they didn't hear anything and no action was taken. She said that several days ago Aaron confronted her in the parking lot about making too much noise. [The neighbor] told me that she is terrified of Aaron and feels that this was done intentionally," wrote an officer in the police report. Alexis was not charged in that case because local prosecutors said it did not appear reckless. In May 2004, Alexis was arrested for shooting out the tires of another man's car in a dispute about parking near a construction site, Seattle police said. Alexis told authorities he shot at the car in "a blackout" fueled by anger and didn't remember pulling the trigger until about an hour later, according to a police report. At the time, he was living in Washington state with his grandmother. He was charged with malicious mischief. The outcome of the case is currently unknown. Alexis told authorities after the 2004 incident that he had been was an active participant in rescue attempts on 9/11 and had post-traumatic stress disorder. His father later confirmed those facts to police. "Those events had disturbed him," he said. On Tuesday, authorities said they were uncertain if Alexis was a first responder in an official capacity. He was a part-time clerical worker at the nearby Borough of Manhattan Community College from February 2001 until February 2003, according to college records. A spokesperson from the school said Alexis worked there and was not enrolled as a student. He said he didn't know if Alexis was working there on Sept. 11, 2001, but that it was possible. The building where he worked, 199 Chambers St., is about half a mile from Ground Zero. According to Kristi Suthamtewakul, a friend in Fort Worth, Alexis said he saw the World Trade Center collapse and was upset that terrorists had taken innocent lives. Investigators say that people had begun noticing Alexis' potential mental health problems around the time of 9/11, the New York Times reported Tuesday. Alexis had applied for a shotgun permit while living in Flushing in October 2000. The permit was canceled in 2003 because he failed to renew it. It's not clear whether Alexis actually bought a weapon, reported NBC New York. Alexis purchased a shotgun in Lorton, Va., during the past week or so, NBC News correspondent Pete Williams reported. During his time in Forth Worth, Alexis reportedly became close with a family who owned a Thai restaurant near the air base and began working as a waiter there. The family remembered Alexis as a peaceful man who helped out at a nearby Buddhist temple, where he was said to be a practicing member. Kristi Suthamtewakul, whose husband, Oui Suthamtewakul, owns the Thai Bowl Restaurant in Fort Worth, said Alexis seemed to change after a work trip to Japan. He seemed frustrated and unhappy, and felt slighted as a veteran, she said. "He had a lot of frustrations with the government," Suthamtewakul said. "He felt a lot of discrimination, racism from white people especially." But she said she saw no signs of mental illness. "Buddhism is a religion of peace, which is why this makes no sense," she said. Michael Ritrovato, a friend who spoke with NBC Dallas Forth Worth, said Alexis was fluent in Thai and conversed with customers at the Thai Bowl. Ritrovato said Alexis had expressed an interest in moving into management for the restaurant. Although Alexis was good-natured, Ritrovato said he spent a lot of time playing violent video games. "I saw the video games just the one time, and when I did, I was like, 'I can't believe you play that stuff.' It was like shooting, you know, where you're shooting them, they're shooting you," Ritrovato said. Suthamtewakul said Alexis had a small circle of friends that included her, her husband, Ritrovato, and two people who ran the barbershop next door. Alexis' family is "very distraught," his brother-in-law, Anthony Little, told NBC New York. "It's a shocking experience; nobody expected this," Little said. "No one saw it coming, no one knew anything. 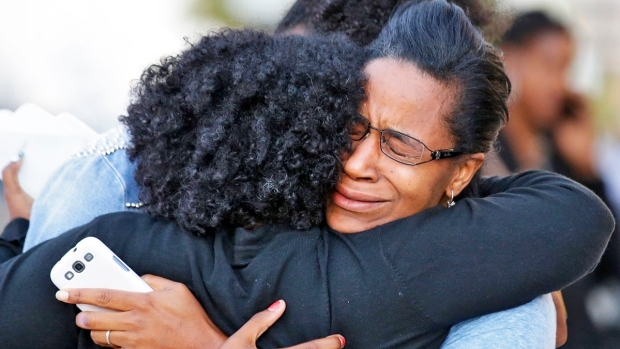 So all of this is just shocking." Little -- who is married to Alexis' 32-year-old sister -- said he'd never met the alleged gunman and had never had contact with him. He said Alexis was not close with the family and that it had been years since his wife had last spoken with her brother. "From what I know, he was a regular guy," said Little. "Went to school, was in the service, from what I know, he was in the Navy." Little and his wife; Alexis' mother, and Alexis' 34-year-old brother live in Bedford-Stuyvesant, Little told NBC New York. Another sister, in her late 20s, lives elsewhere. The NYPD and the FBI visited Cathleen Alexis' home Monday to gather information in the wake of the shooting, reported NBC New York. "I didn't really hear anything that would make me feel like, as a newcomer to the family, that somebody should be watching him," Little said. "No one mentioned anything about him being aggressive or being this type of way or anything like that." Alexis lived in Flushing, Queens from at least 2000 to 2002, where he was last registered to vote, according to public records. A neighbor who had lived below Alexis and his family in Flushing said they were "very quiet" and that she couldn't recall "any problems" with them. "You really don't know who you live next to," said Wendy Lopez, a neighbor. "I'm shocked."